I had a blossoming career in Fashion. I loved my job as a pattern cutter, and I was good at it! – I couldn’t see myself doing anything else. Even when I found out I was pregnant, the plan was always for me to go back to work once the baby was born. And then on 5th December 2016 our lives changed forever. At 18.52 Lennon Georgie Ruffles was born, 12 weeks early and weighing a tiny 2lb 8oz. And he was poorly, very poorly. So poorly that when the QE2 Hospital, Welwyn Garden City closed its doors a few years later, Lennon went down in history as being the sickest baby born there to survive. 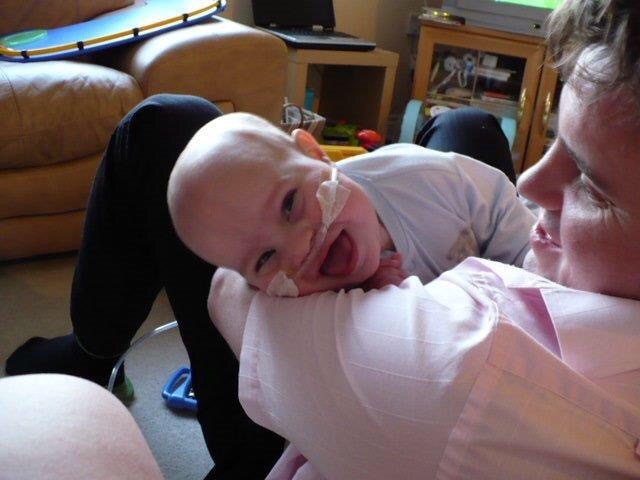 At 2 days old he was transferred to the NICU at Chelsea and Westminster hospital, London. Lennon’s first 6 months were spent in NICU, mainly being supported by high pressure ventilation and Total parental nutrition. Lennon finally came home aged 9 months after a further 2 stays in PICU suffering from respiratory problems and again relying on high pressure ventilation to stay alive. In order for us to bring Lennon home we had to learn how to keep him alive. We were trained to tube feed and how to replace a nasal gastric tube. We learnt how to use oxygen and monitor O2 saturations. We had an oxygen concentrator installed in our home. We were taught life support – how to resuscitate our baby if he stopped breathing at home, which he did many times, and each time he did I breathed life back into my babies lifeless body. Much to everyone’s surprise, Lennon’s last PICU stay was in 2009 age 2. This time we were asked whether or not we wished to withdraw life support. We had a 6 month old baby daughter, and the doctors thought it would be better for us to let our son go and live a ‘normal’ family life. We made the right decision for us at that time. We hadn’t come this far to give up the fight, and neither had our precious son. We wanted Lennon to make his mark on the world, we wanted Lennon to touch other peoples lives as he had touched ours – I’m sure most people that know Lennon would feel he had achieved those goals! Since then Lennon has had countless hospital stays, more surgeries than I can remember and he has had more and more diagnoses added to an already long list of complex problems. Despite this, and every genetic and metabolic test currently available on the NHS coming back negative, Lennon is undiagnosed. Lennon is currently under multiple teams at Great Ormond St Hospital and has also recently been referred to be their Neurology and Dermatology specialist teams. Maybe one day i’ll blog about them all! 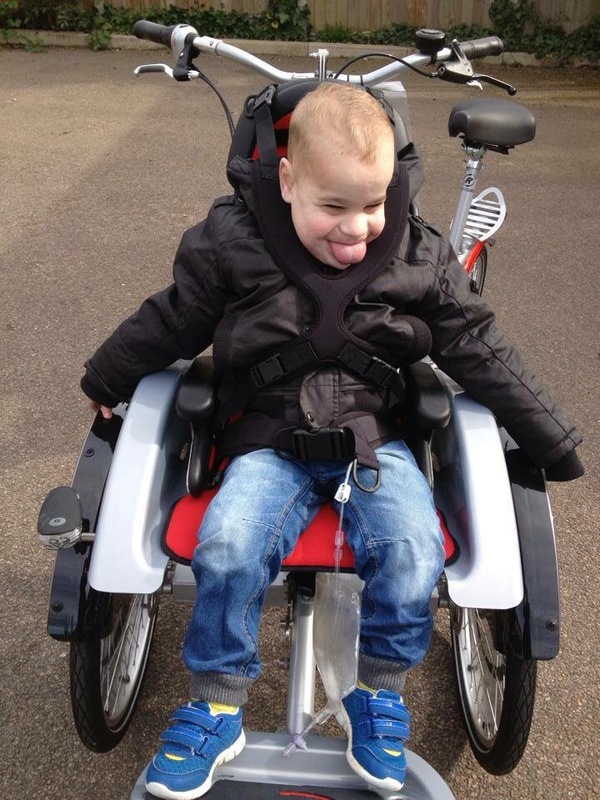 Lennon attends an SLD school and has a dual sensory impairment intervenor to support him in learning. She is also medical trained and attends to all his medical needs in school with help from the special school nursing team. We try our hardest to give Lennon the most fulfilled life possible. Life is for living, and I made it my mission for Lennon to be able to experience as much of life as he possibly can. Lennon enjoys skiing (yes you read that correct! ), bike rides, swimming and anything to do with water, ice skating, horse riding, roller skating, long walks and the seaside. Over the years I’ve changed, I’m not that person anymore. I understand the meaning of life now and very precious it is. Living with Lennon has changed my life. At first I gave up almost everything in my life in order to concentrate on keeping my child alive. And slowly as the years have passed I have been able to let more and more back into my life. I now have a passion for fundraising and children’s end of life care. I am a member of HPCI and I run a successful very small crochet project, of which all the profits go to Lennon’s Fund (https://www.gofundme.com/62nbno) I would like to do more but looking after Lennon is still a full time job. He requires medical intervention hourly during the day and two hourly throughout the night. Endless appointments, keeping on top of supplies and medication and nappies. Fielding phone calls from all manner of people and above all attending to Lennon’s every increasing need because he will always be fully dependant on an adult in all aspects of his life. Lennon sadly died on August 3rd 2017.